Earn 1 - 6 Political Science credits. Gain experience in politics, government, foreign affairs, homeland security, business, law, and much more! Contact potential employers; learn with on-the-job training. Internships available every semester, including summers. Register for POSC 430 and 431: Internship in Practical Politics--instructions here. To register, contact Internship Coordinator Linda Loewer: Handshake or loewer@duq.edu. Students keep a daily log of activities (sample here) and email it bi-weekly to the faculty director. Students engage with the faculty director at least monthly to discuss issues/reflect on work. Students submit a 7-10 page reflection paper (sample here) to faculty director by end of semester. Grading: Pass/Fail. Worksite supervisor's report counts 50% of final grade. Students may also intern in Washington, DC! Follow these required Duquesne procedures for the Washington Internship Institute or American University. Scholarships available! An advocacy internship with Keystone Trails Association. Read about Raymond's experience. 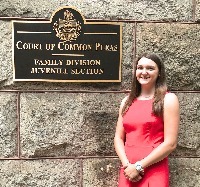 An eye-opening summer internship with The Honorable Michael F. Marmo in the Allegheny County Court of Common Pleas, Family Section, Juvenile Division. 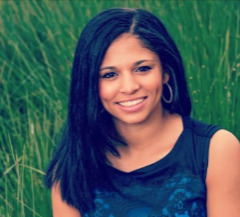 Sydnie worked as an intern for U.S. Congressman Frank LoBiondo, House Aviation Sub-Committee, and then for Southwest Airlines' governmental affairs office in Dallas, TX. Sydnie describes her experience here. 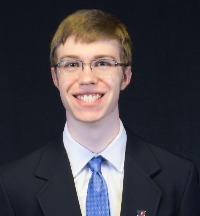 Timothy interned with the U.S. Department of State at the U.S. Embassy in Berlin, Germany. 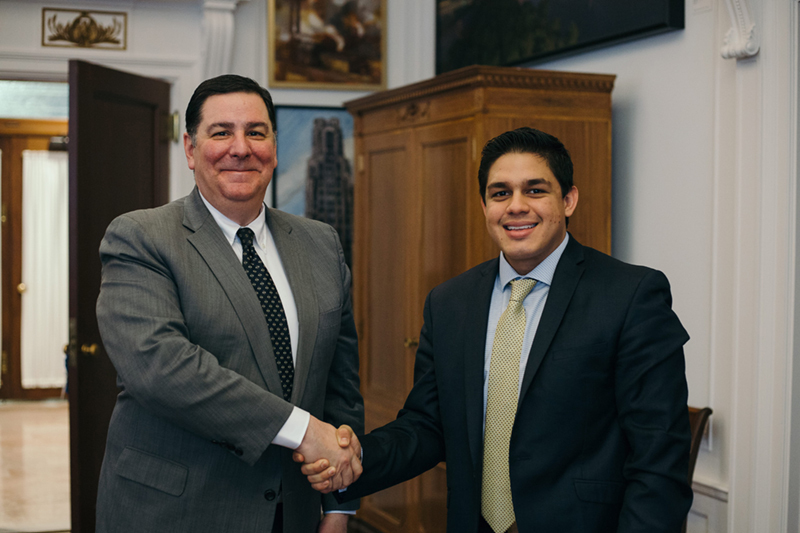 Sebastian interned at the offices of Pittsburgh Mayor William Peduto (photo by Alex Corrie). 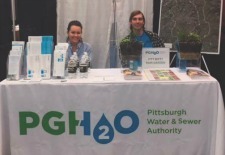 Mora talks about her work at the Pittsburgh Water & Sewer Authority. Read Jane Stacier's reflection paper for her internship with the American Civil Liberties Union. An intern at the Allegheny County District Attorney's Office, Raquel writes about how she found her internship.